The Kirkpatrick Fam: Baby Girl!! Yesterday I had my ultrasound and we found out that we are having a little girl!! We were so excited! 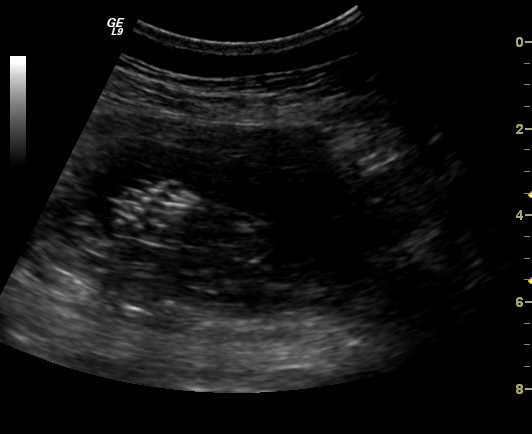 I was thinking it was a boy, but when the ultrasound tech said it was a girl I was so excited and started to cry. The cutest thing was seeing how excited Dan was. All of our nieces absolutely adore him and now he is going to have his own little girl be be obsessed with him! 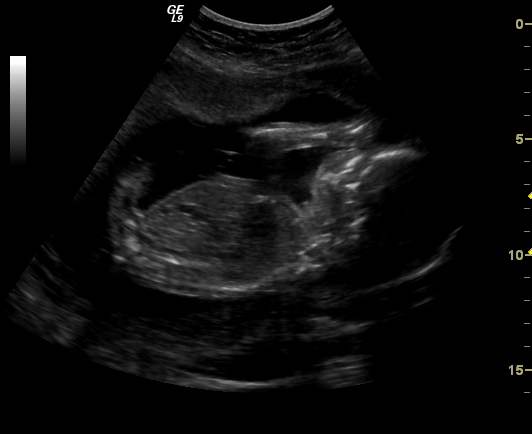 Here are pictures from the ultrasound. The first one is of the baby's foot . . . how cute. I thought I would post that one because in the second picture it looks like the baby doesn't have any legs, but it does (and feet too). My sister asked me who our girl looks like, and I have to say it is pretty tough to say at this point. I felt like she looked really skinny, especially her bum and legs, but the tech said that the measurements looked good and she weighs a whopping 14 ounces. I guess I will just have to keep eating lots to get some fat on her bones. And of course I have to include a picture of my belly. This was the day of the ultrasound at 21 1/2 weeks. So far I have felt really good. I never was sick at all. My only complaints have been a sore lower back, and maybe being a little tired. I have been feeling our little girl move since about 16 weeks and it is so fun to feel her. Hurray for little girls! I stumbled onto your blog through Eden's blog. Congratulations! Girls are so much fun and SO HELPFUL. congratulations katie! that's so exciting! So exciting - just wait until you start SHOPPING for her!!! It's so fun! You look great by the way! Oh, I am so happy for you and Dan! Congratulations on your sweet baby girl! You look amazing!!! So exciting! Congrats on the girl!! I wonder now what her little cousin in September will be. I'm sure they will be very good friends. All the best to you and Dan. What a cute little foot and little profile! I'm so excited to meet this little niece of mine, she will be darling! You have just a tenny little pooch, mine is about that size and I'm 2 months BEHIND you, not far! Congrats!! That is so exciting. You look so cute pregnant! You look so cute! Can't wait to spoil another granddaughter!!! Yay!! You two are going to be the cutest parents.